Teck Ghee MRT Station (CR12) is an underground station along the Cross Island Line (CRL) Phase 1. The station is located underneath Ang Mo Kio Avenue 6, at the junction of Marymount Road and Ang Mo Kio Avenue 1. The station is in the vicinity of residential estates in Ang Mo Kio and Bishan North, and community amenities such as Bishan-Ang Mo Kio Park and Ang Mo Kio Secondary School. It is targeted for completion and opening in Year 2029. 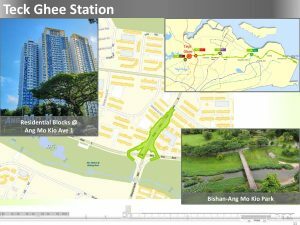 Contract N109A for the construction of Teck Ghee MRT Station was bundled together with the construction of the North-South Expressway, as both underground structures were stacked on top of one another. 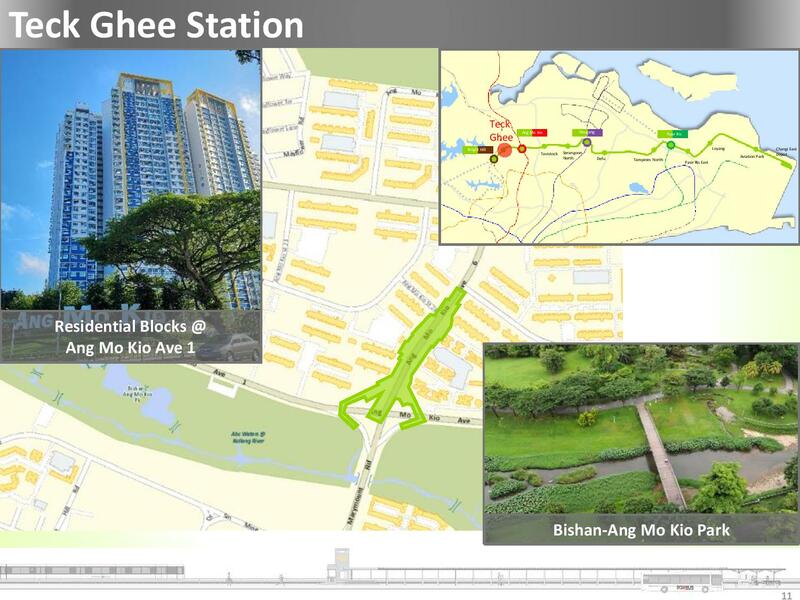 The contract called for the construction of a road tunnel, an MRT station box and commuter facilities, including pedestrian overhead bridges, bus stops, sheltered walkways, and cycling paths between Sin Ming Avenue and Ang Mo Kio Avenue 3. The contract was awarded to Shanghai Tunnel Engineering Co. (Singapore) Pte Ltd. at a contract sum of S$615.90 million. Construction work began in the second quarter of 2019.